When they convene, the conversation never lags. How did you get your agent? someone asks. How many rejections before your manuscript was accepted? So it will go when the local chapter of the Women's National Book Association holds its fall social and networking event 7-9 p.m.on Monday at Rooftop, 201 Epicenter, 201 E. Trade. The event brings together book lovers and book industry professionals to support reading, writing and community service. The event is free. Members and potential members are welcome. For more information: Nicole Ayers at nicole@ayersedits.com or call Prisclilla Goudreau-Santos at 904-371-7751. U.S. Congressman James E. Clyburn will sign copies of his new memoir, "Blessed Experiences: Genuinely Southern, Proudly Black" (University of South Carolina Press, $34.95), about his journey as a civil rights leader from the Jim Crow-era South to the Washington Beltway from 5:30-9 p.m., on Thursday at the Harvey B. Gantt Center for African-American Arts and Culture. Admission to the signing is free, and proceeds from the sale of the books will benefit the alumni of the Charlotte Chapter of South Carolina State University. From his beginnings in Sumter, S.C., to his prominence on the Washington, D.C., political scene as the third highest-ranking Democrat in the House of Representatives, Clyburn has lived an eventful life. He has represented South Carolina's sixth district since 1993 and currently serves as Assistant Democratic Leader of the House. In "Blessed Experiences," Clyburn explains how an African American boy was able to beat the odds to become, as President Barack Obama describes him, "one of a handful of people who, when they speak, the entire Congress listens." 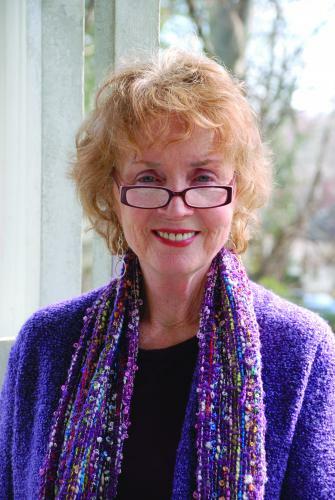 Charlotte poet Barbara Conrad will read at 2 p.m. on Sunday at McIntyre's Fine Books at Fearrington Village, outside Chapel Hill. 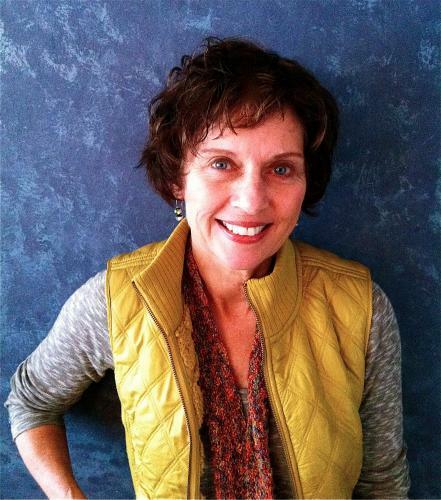 Conrad is the author of "Wild Plums" (Future Cycle Press) and "The Gravity of Color" (Main Street Rag) and editor of "Waiting for Soup," a collection of art and poetry from her weekly workshops with homeless neighbors in Charlotte. Her poems have appeared in numerous journals and anthologies, including Tar River Poetry, Sow's Ear, Southern Women's Review and Kakalak. She's won awards for her poetry as well as a Pushcart nomination. Also reading on Sunday will be Janice Moore Fuller, writer-in-residence at Catawba College, and Raleigh poet Larry Johnson. Fearrington Village is on US 15-501 between Chapel Hill and Pittsboro. The reading is free and open to the public. Bookwatch has become such a favorite in our house that we now record it. 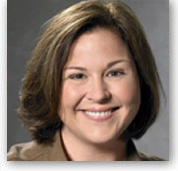 No matter the guest, the host, former Charlottean D.G. Martin, is himself a treat. No one is more animated, and no one works as charmingly to draw out the essence of the writer and his or her work. If you're new to the state, it's a wonderful introduction to the personalities and minds of our literary riches. 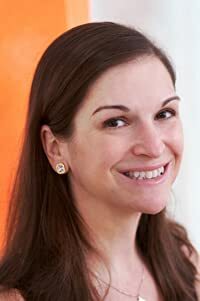 This Sunday, Aug. 24, young adult writer Sarah Dessen will appear on the show. Her most recent title, "The Moon and More," set on Emerald Isle, recently won the Southern Independent Booksellers Alliance Award in the young adult category. Lead character, Emaline, loses both her long-time local boyfriend and her newfound summer love. There's heartbreak, of course. But new beginnings await. Bookwatch airs at noon on Sundays and at 5 p.m. on Thursdays on UNC-TV. 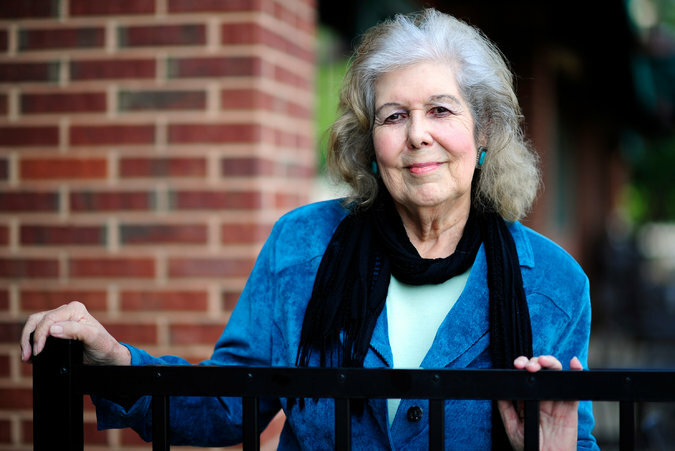 On Aug. 31, award-winning Hillsborough novelist Lee Smith will appear on Bookwatch. Her most recent novel, "Guests on Earth," includes a character based on Zelda Fitzgerald and her stay at the elegant and now-defunct Highland Hospital, a psychiatric facility in Asheville. Is your book club looking for excellent novels set in the South? Let me direct you to Crook's Corner Book Prize's longlist of 11 debut novels, published between Jan.1, 2013 and June 30, 2014. One of my favorites, I'm happy to say, is on the list. It's "Byrd" (Dzanc Books) by Raleigh attorney Kim Church, the coming-of-age tale of Addie Lockwood whose failed abortion leads her to place her infant son with an adoption agency. Lockwood's longing is enduring and palpable, as is the longing of other characters for one another, present or not. "Byrd" is also on the longlist for the Flaherty Dunnan Prize, to be announced in September. Among the other novels on the Crooks Corner list are "Flying Shoes" (Bloomsbury USA) by Lisa Howarth, a literary mystery set in Oxford, Miss. ; "Heart of Palm" (Grove) a tale about loving things to death by Laura Lee Smith, set in the small town of Utina, Fla., between St. Augustine and Jacksonville; "The Ways of the Dead" (Viking), a story of race, crime, the law and the power of the media in Washington, D.C., by long-time Washington Post reporter Neely Tucker; and "In the Garden of Stone" (Hub City Press) by Susan Tekulve about the wave of Scilian immigrants who arrived in Bluefield, Va., in the 19th century. Wilmington's Wiley Cash won the first annual prize in 2014 for his debut novel, "A Land More Kind That Home." Modeled on the literary prizes of famous Parisian cafes, the Crook's Corner Book Prize is sponsored by the Crook's Corner Cafe and Bar in Chapel Hill. The shortlist will be announced in November, and the winner, who will receive $1,000 and a free glass of wine on each visit to Crooks Corner, will be announced in January. Dot Jackson's debut novel, "Refuge," won the now-defunct Novello Festival Press Prize in 2005, sponsored by the Charlotte Mecklenburg Public Library. It's a lush, passionate novel, based on a family scandal, set in the variegated green of the Blue Ridge Mountains. When Jackson, who recently moved from Six Mile, S.C., to Newland, N.C., read at Park Road Books in 2008, after the release of the paperback edition by John Blair, she packed the house. Then, suddenly, the only hard copies to be found were on Amazon or in used bookstores. Gone. Down the rabbit hole. Jackson gave readings at book clubs and conferences around the Carolinas, and fans harangued her for a copy. The former Novello staff members, now scattered, said they hadn't a clue what had happened to the remaining stock. At last, success. The books have been found -- in the nether regions of the Main Library -- and the rights released back to the author. Jackson, a former Observer reporter and columnist, dispatched her daughter to Charlotte with a rental truck to buy the lot of them. Want an autographed copy? Make checks payable to Dot Jackson and mail them to Jackson at P.O. Box 96, Montezuma, N.C. 28653. Hardbacks $24.95; paperbacks $16. Shipping: $2.50. If you want your book signed personally, email her at dotjackson6mile@aol.com. Maureen Sherbondy of Raleigh, who earned her MFA from Queens University of Charlotte and tutors poetry at Alamance County College in Graham, will read from her new collection, "Beyond Fairy Tales: Poems in Concrete & Flesh" (Main Street Rag, $14 paper) from 5:30-7 p.m. on Wednesday, Aug. 13, at So & So Books, 704 N. Person St., Raleigh. Here's a poem from the new book. a lump, and days since then have passed. for him to shimmy up beneath the star-scarred sky. fell from her head to the tower's cold, stone floor. your golden hair, she hides beneath the sterile sheets. If you don't recognize the name Charla Muller right off, you'll surely recognize the title of her last book: "365 Nights: A Memoir of Intimacy." You remember, right? She's the working mother of two, right here in Charlotte, N.C., who decided for her husband Brad's 40th birthday to give him the gift of sexual intimacy for a solid year. That she did. And both found that the, uh, daily practice, shall we say, formed a closer emotional as well as physical bond. Muller's new book, "Pretty Takes Practice: A Southern Woman's Search for the Real Meaning of Beauty," out this week from Berkley Books ($16 paper), grew out of the first. Maybe not in exactly the way you'd expect. Here's how the book originated. When Muller was interviewed about "365" on Oprah -- yes, Oprah -- she caught a larger-than-life view of herself on high definition TV. She compares that view to "watching your own car accident .... It's simply something you shouldn't witness." On that giant screen behind Oprah's head, she writes, "I looked like a giant, bloated mess...."
Muller says she was sixty pounds overweight and had chosen to wear a five-year-old black knit sweater she'd bought at a discount store. "Denial is built into my DNA," she writes. "I get it from my father's side." Muller describes the Queen City as a town "ruining the curve on pretty." Even though, until Oprah, she says she'd been content to look "fairly decent" only about every third day. "Like it or not," she writes, "how I looked determined my credibility to the viewing and reading audience. It determined my likability and, ultimately, my salability." And later: "First impressions count because they are a powerful, one-of-a-kind opportunity to serve up your best self." "Seeing yourself for the first time not as you think others see you but as they actually do see you, forced me, at the age of forty-three, to grow up," she writes. After the inevitable tears, she says she bucked up and joined a weight-loss program, started eating better and exercising and gradually shed pounds. A new hair style, a wardrobe upgrade and a rediscovery of "some of the beauty basics that I had either forgotten or repressed." Many of those basics her mother had touted for years. (She dedicates the book to her mother.) Basics such as finding a good alterations person, a good hair stylist and buying bathing suits online. "Because mothers know," Muller writes, "and while they might not offer up their wide-open opinion every time the opportunity presents itself, they don't lie." "My mother has been a real champ about the book," Muller says by email. "She continues to give great advice not just to me, but also to my daughter." "I grew up with a mother who I thought was beautiful," she writes me, "and as an adult I can see that my interpretation of her 'pretty' was more than just her fabulously coordinated outfit." Which makes Muller wonder: How will her daughter remember her? "She starts high school this month, and I'm especially intrigued by the messages and advice I'm sending her way (both intentional and not) about the role and priority that appearance can, should or does play in living a well-rounded and lovely life," Muller says by email. Muller makes it clear that this book is not "a how-to guide on how to achieve pretty." Her own story, she says, is "messy, misguided and, at times, tragically comic." She offers instead reflections. And, at book's end, Muller does mete out a bit of advice. "...I would encourage you to embark on your own pretty journey," she writes. "Determine what's important in your personal pursuit and then get down to the hard work of practicing it and living it and owning it. It will be hard and messy and really ugly. And totally worth it." The death of novelist Louise Shivers is old news now, but for me, it's still the saddest news of the summer. The Stantonsburg (N.C.) native died on Saturday, July 26, in Evans, Ga., of congestive heart failure. She was 84. Margalit Fox in her obituary on July 28 in the New York Times called her a "conjurer of (the) rural South." Yes, she was that. And more. I was serving as book editor in 1983 when Shivers' first novel, "Here to Get My Baby Out of Jail," appeared among the hundreds of books that spilled in each week for review. I noted the blurb from Eudora Welty on the back cover ("With this absorbing first novel we meet an author richly endowed and sure of her way.") Welty only blurbed two or three novels during my 17-year-stint on the book page. The other was Kaye Gibbons' "Ellen Foster," and before my time, Walker Percy's "The Movie Goer." So I packed up the 136-page novel for a closer look. Shivers was so in command of her story that as I read, my real world collapsed, and I was transported to 1937 and the tobacco fields of Eastern North Carolina. It was a riveting story of love and lust, of betrayal and tragedy. 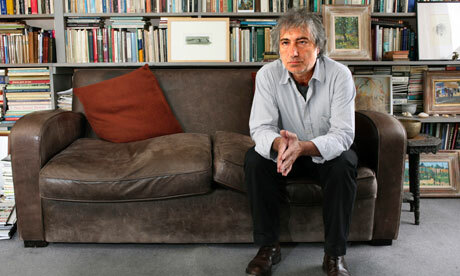 But what lifted the novel was Shivers' wisdom in giving us also a story of insight and transformation. She knew well of what she wrote. I interviewed Shivers over the years, and always she talked about the trap that women keep themselves in, often a trap of their own making. Shivers herself was in that trap, she told me. "I was raised to be quiet and submissive. The husband brings home everything, and you do what you're told." The publication of that first novel at age 54 -- and the awards and accolades that followed -- helped to change all that. Shivers told me that her relationship with her husband had grown stronger. "What a terrible thing to do to a man," she said, "to throw all that responsibility on him and set him up as a god and as a father." Part of her trap, Shivers said, was spending two decades denying her urge to write. She had married after one year at Meredith College, and by age 24, she'd had three babies. But by 1967, when the "babies" were teenagers, she said that yearning to write "had just been suppressed as long as it was going to be suppressed." By 1979, she had a manuscript to submit to a writers' conference, and it won first place. Novelist Mary Gordon happened to be the judge, and she recognized a true writer. Shivers quit her job in the library in Augusta, Ga., and put herself on a schedule to finish the novel. Sad enough that Shivers is no longer among us. But so much sadder had she not followed her dream and thereby sprung that genius of a talent right out of that dark, cramped jail.